As an active member of the equine community, we support a range of established and up-and-coming riders to help them achieve success in their chosen horse riding activities. You can find out more about them below and read about their experiences in regular blog articles. 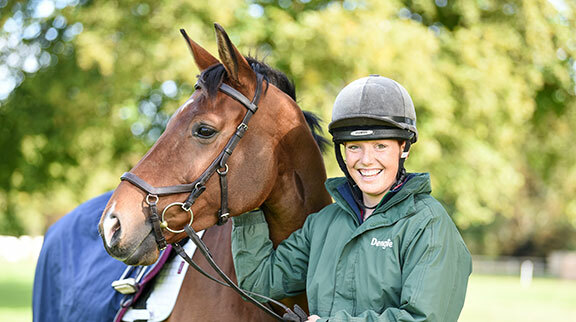 Lucy is an International Event Rider who has successfully competed in horse trials around the world. 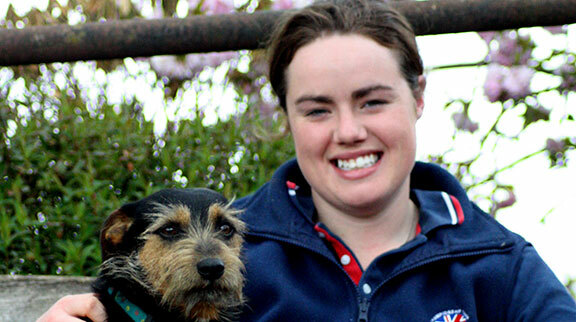 Lucy represented New Zealand at the Trans-Tasman Challenge in 2003 and the CHIO Aachen in 2012 and 2014, and was first reserve for the 2012 London Olympic Games. In 2012, she completed Burghley, her first four-star with two horses, winning the HSBC training bursary as best four-star first-timer with Willy Do. Lucy now has her sights fixed firmly on Tokyo for 2020 with her top ride, Superstition II, who is owned by Gillian Greenlees. 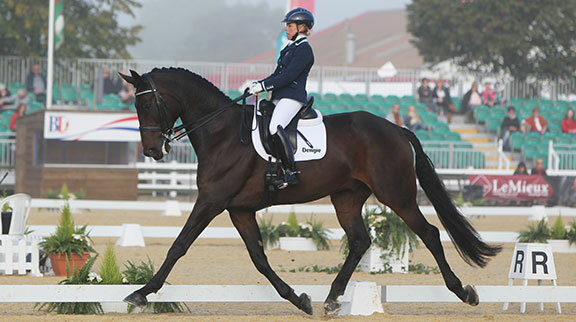 Alice is a British Dressage rider who breeds and trains her own horses at her family yard, Headmore Stud in Hampshire. Alice has been on the national squad of British Young Riders Dressage Scheme (BYRDS) and the 2009 Young Rider European Dressage Team. Since then she has been working her way up through the grades and has been placed internationally at Grand Prix. Hannah is an International 2* Dressage rider and trainer. She has competed in European teams as a Junior and Young rider and went onto ride internationally for Britain as a Senior. 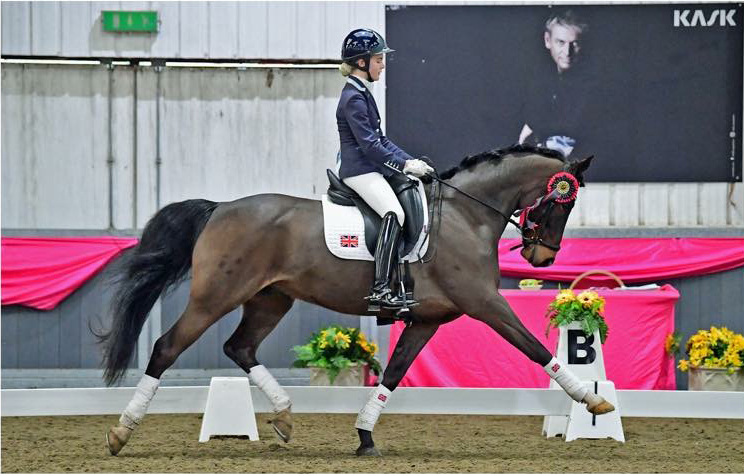 A winner of Britains Talent Spotting and a Young Rider Champion Hannah went on to win 7 National and 22 Regional titles. Her current horses are 4-year-olds Invision and Iggy Pop and 5-year-old Levanu, all of which she has high hopes for. Hannah’s top horse is Leonidas III who is out there at small tour this year and her ambition is to gain a place on the Olympics team. Hannah is a strong believer in a Dengie feeding regime and has been supported by us for many years and enjoying the benefit of our nutrition team’s expertise. Tanya Buckingham is a British Event Rider and produces, competes and looks after all her own horses, along with horses for owners. Tanya is also a fully qualified BHS II and UKCC level 3 coach. 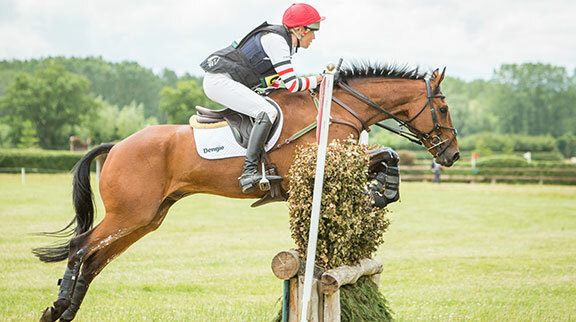 Tanya has represented Team GB at junior and young rider level and has currently got a yard of up and coming young horses alongside her top mare Candy who is aiming at CIC*** next year. Alongside Eventing, Tanya is an active member of British Dressage and BSJA, competing up to Advanced and Foxhunter level. Tanya is a huge believer in the health benefits of a fibre-based diet for her horses and is very proud to be a part of the Dengie Team! Brook is an amateur event rider from the North-West of England, working part time as an Improvement Facilitator in the NHS, and trying to fit the toddler around training! Olivia Whitelaw is a young international dressage rider based in Nottinghamshire, trained by Darryl Thickitt and Andrew Fletcher, riding her own Dutch riding pony Brouwershaven’s Viceroy (aka Leo). Olivia’s 2017 highlights include being invited to represent Team GB in The CDIP competitions in both Dipenbeek, Belgium and at Hickstead in the U.K, as well as winning the Keysoe Premier League 2017 Pony FEI Class. Olivia’s aims for 2018 include being invited to continue to gain International competition experience towards her ambitions to be in the short listed riders for the 2018 European Championships. In parallel to aim towards getting to the BD National Championships at Medium Gold. Alicia is a British Event Rider based in Essex. Alicia’s current top horse, Perfect Timing II (Pooh) is a home bred mare who she has backed and brought up through the levels herself, reaching CIC*** in 2017. Matilda is a young dressage rider based in North-East Scotland. Her current ride is Go (Arlo to his friends). Arlo is a talented 6-year-old KWPN gelding who came over from The Netherlands in October 2017. Prior to this Matilda’s top horse was Watch Me! (Gari to his friends!) who was her first horse after coming off ponies. Together their campaigned their way very successfully to Advanced Medium before he was sadly put to sleep in summer 2017. 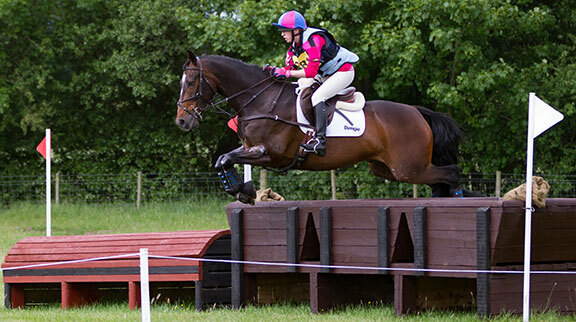 Matilda has ridden for Scotland many times on Home International, Inter-Regional and Sheepgate U25 teams. She has competed both at Regional and National level in Affiliated Dressage at the British Dressage Winter Championships and the Pony Club Championships. Matilda says that all her horses have loved their Dengie Diet and that they look well on this. 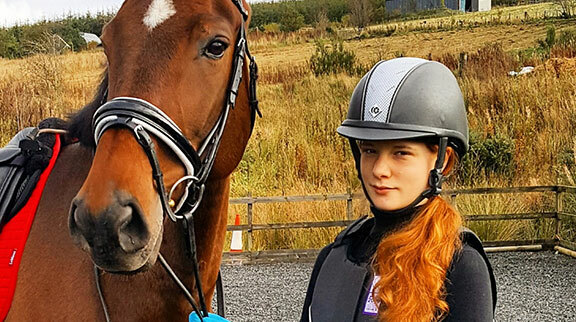 Matilda’s goal is to be invited in front of the BD Junior or Young Rider selectors in future years and her dream would be to make one of the International Squads. 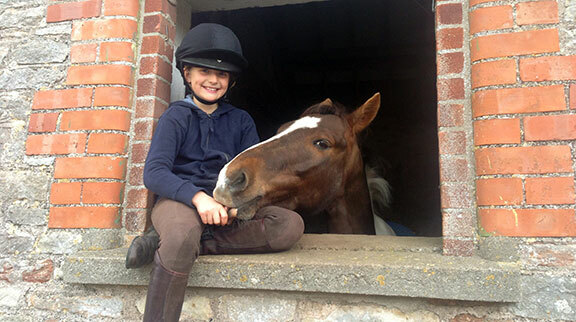 Maisie started riding when she was 3-years-old and has wanted to be an event rider since the age of about 5. 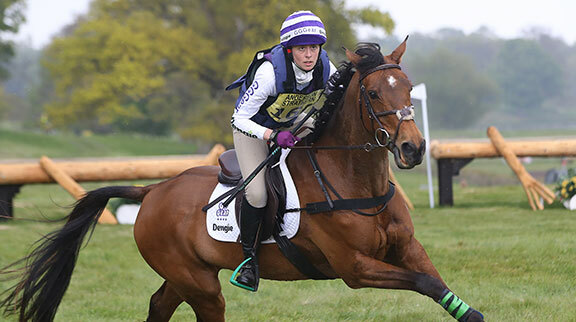 She has been inspired by her Dad, Tim, a former 4* event rider and equine vet, and from visits to Badminton and Burghley Horse Trials where she has been lucky enough to go behind the scenes. Maisie’s ambition is to ride at Badminton and Burghley 4* events and to go one better than her Dad and ride for team GB at the Olympics!